Imagine a world where you could fly from Washington D.C. to London in less than four hours. What a bright future that would be! Wait, did we say future? We meant past: until 2003, a commercial airliner flew at such supersonic speeds, cutting down international travel time by a tremendous amount. It was known as the Concorde, and it hasn't flown since. There's a good reason for that. The Concorde traveled at more than twice the speed of sound, meaning it was incredibly loud on takeoff and landing. It had a sleek, thin body with a dipped nose for aerodynamics. It used a military-grade engine that was woefully not fuel efficient, actively fighting every square inch of air pressure rather than encouraging airflow and fuel efficiency like the engines in commercial airlines. Operating models of the plane were owned by British Airways and Air France, and they would make daily trips from New York City, London, Paris, Singapore, and other cities the world over. But it was incredibly expensive, costing the taxpayers of Britain and France nearly $2 billion. In its final few years between 2000 and 2003, round trip tickets from London to NYC would cost anywhere from $7,000 to $10,000. But boy, was it cool. Imagine going from New York City to Singapore in seven hours. Normally, it would take seventeen. A trip from Washington D.C. to London? Three and a half hours. Business travelers could go take back and forth trips in a single day that would have otherwise been days long. The Concorde was said to have been built to prove that it was possible, rather than prove that it was feasible. The interior of the Concorde was tight, the seats were small and uncomfortable, and the windows didn't have much of a view. Despite the fact it came with gifts like fancy flasks, silver tie clips, and champagne and caviar, a flight on the Concorde didn't feel quite as luxurious as the cost suggested. Passengers didn't even feel much of a difference between going the top speed of 1,500 miles per hour—more than twice the speed of sound—and traveling at the cruising speed of a traditional 747. What's the point of super speed if you can't enjoy it? But there's still hope for supersonic commercial flight. Advancements in technology, including greater streamlining designed to reduce or even eliminate the deafening sonic boom such a plane would produce, are making supersonic travel more feasible for the future. 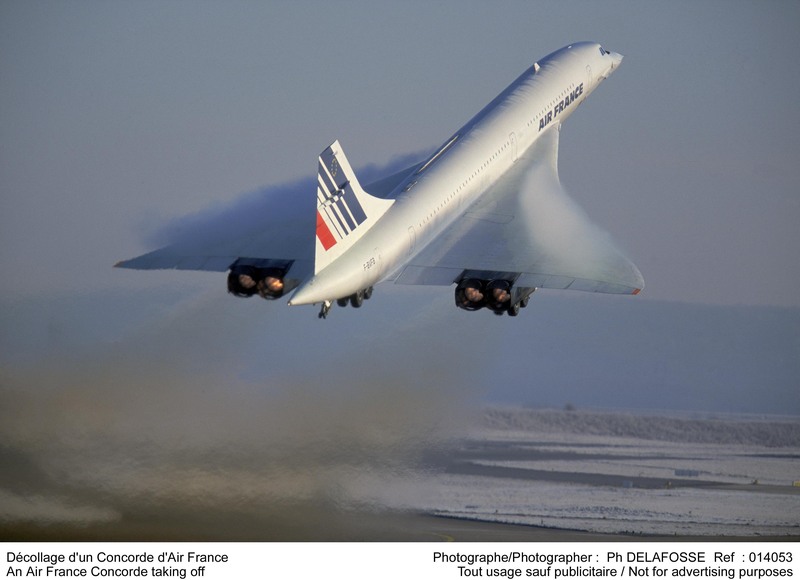 Several companies have already begun work on their own projects, and it could just be a matter of time before the dashed dream of the Concorde is alive once more.